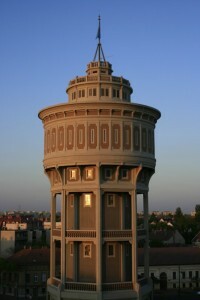 The Water Tower of Szeged located in Szent István tér was built in 1904 in geometric Art Nouveau style to the plans of Szilárd Zielinski. As the most Art Nouveau buildings, the water tower also features innovation, as it owes its cost-efficient implementation to its reinforced concrete structure. At the period of its construction, with its height of 55 meters, it was the tallest water tower of the world. 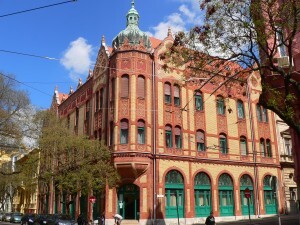 The New Synagogue, designed by Lipót Baumhorn, was built in Moorish Art Nouveau style and it is the fourth biggest synagogue of the world. 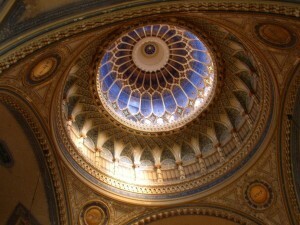 It seats 1340 individuals ad its dome is 48,5 meter high. Visitors and believers have been impressed for 110 years by the building that features the unusual combination of devotion and luxury, which was specific at the turn of the century. 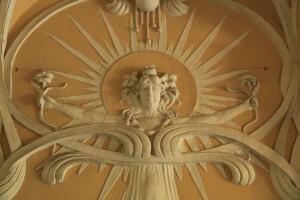 Undoubtedly, the Reök Palace is one of the most outstanding Art Nouveau buildings. 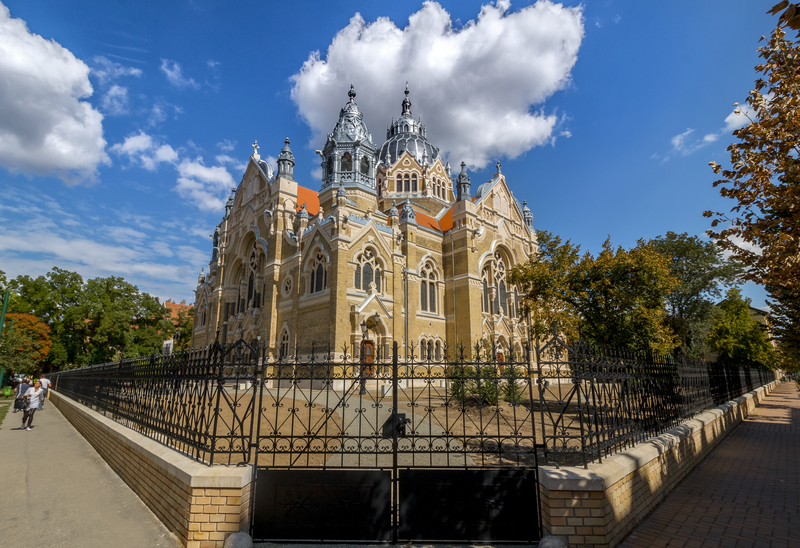 Not only in Szeged, but also in Hungary, it is one of the most beautiful examples of Art Nouveau architecture. The three-story upper middle-class mansion was designed by Ede Magyar, born in Szeged, and it was built in 1907 for the Reök family. Today it houses the Regional Art Center. 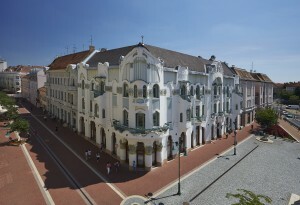 The Ungár-Mayer Palace is located at the crossing of Kárász utca and Dugonics tér. 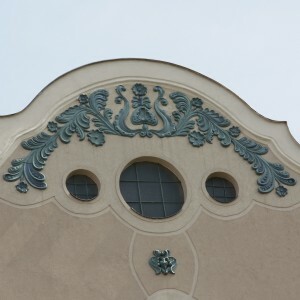 It was also designed by Ede Magyar in late Art Nouveau style. 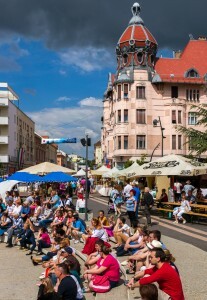 At the time of its construction it was the second tallest building in Szeged. It was restored in 2000 to enhance the magnificence of the city center. 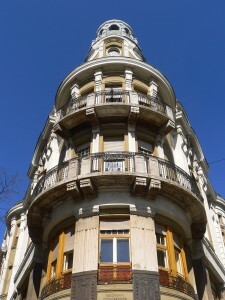 The Goldschmidt Palace was also designed by Ede Magyar. Due to its transformation in the 1950s, its decorative elements were completely removed, only the female figures at the entrance corridor remained. 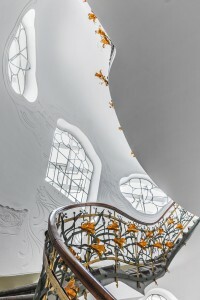 The Reformed Palace is inseparable from the destiny of its worthily acknowledged architect. The Reformed Church commissioned Ede Magyar to design the building. It housed flats for pastors and protestant school students of Szeged. It has been housing offices and flats since its renovation in 1991, and there are shops on its ground floor. The curiosity of the three-story Gróf Palace is that it faces three streets, it has three facades, two towers and several balconies. 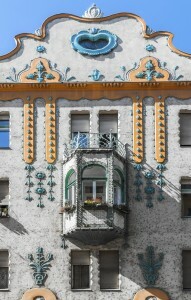 It was designed by Ferenc Jenő Raichle, just as the Móricz House, whose characteristics are the decoration made of Zsolnay ceramics and the wrought-iron balcony railings. 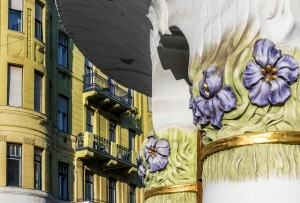 The Deutsch Palace is the best example of Hungarian Art Nouveau style. 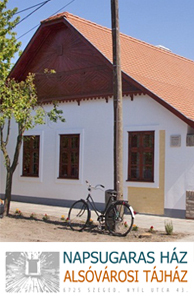 It was designed by the local architect Mihály Erdélyi, who applied the motifs of folk art. 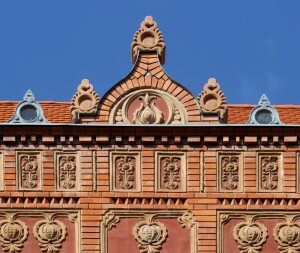 Besides the listed ones, several other Art Nouveau buildings or buildings with Art Nouveau elements enrich the cityscape of Szeged. Find further information in our publications.